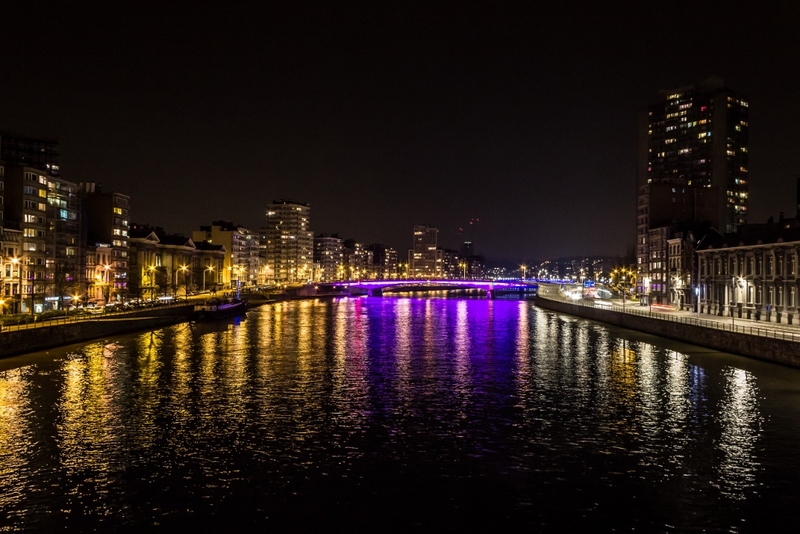 One of the many bridges traversing the River Meuse at Liege city center is the Pont Kennedy. These bridges, including Pont Kennedy, are well lit in the evening. Previous Previous post: Luxembourg city!